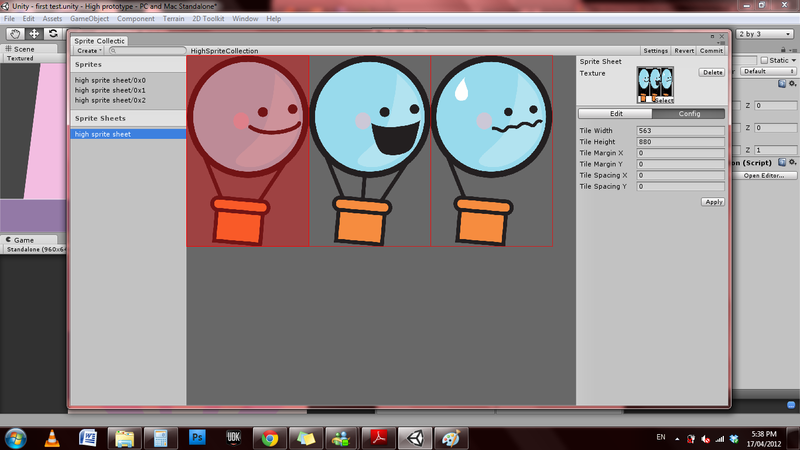 So I’ve had a bit of a chance to play around with 2D ToolKit and first impressions are that it is pretty cool. I’m still very much feeling my way and testing what the tool can do but overall it is as useful and time saving as I had hoped. 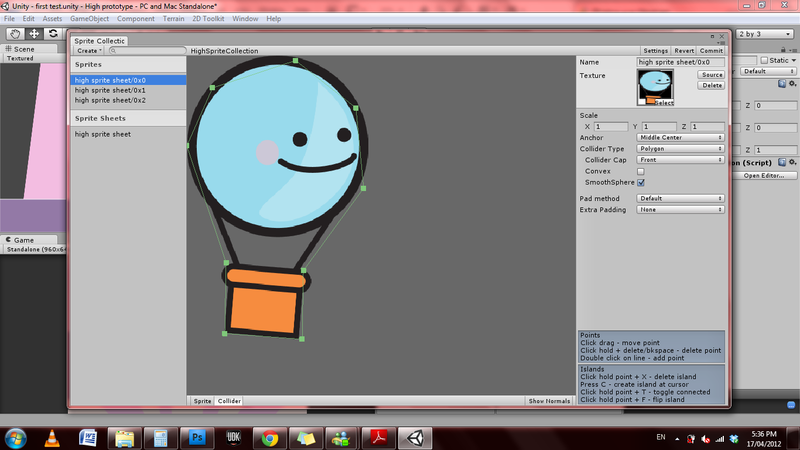 What I’m liking most is the collider and sprite editor which are some of the most user friendly tools I’ve come across. With this in mind I have officially started the process towards a polished prototype. In my pre-production time I included a prototype section in my design doc which I have sitting beside me while I work. It is essentially a breakdown of tasks that I feel need to be achieved as well as some deemed ‘desirable’ (a.k.a should I find the time) so I’ll be able to track my progress by ticking off completed tasks. A big part of my desired polish is the art even though it’s still pretty new ground for me. The tool makes importing and cutting up sprite sheets a breeze so thankfully I am able to correct any errors pretty much as I see them. However to further aid asset creation I’ve started adding a new section to my doc for ‘Technical Specs’. This will pretty much form a cheat sheet outlining the optimal dimensions and resolutions when I feel I’ve found the sweet spot as well as things to keep in mind along the way. Using this process I’ve already been able to figure out a good animation workflow culminating in the gif you see below. I’m hoping I’ll be able to knuckle down and have the core functionality working by early next week, but either way I’m certainly happy with my progress thus far.